We have specialized in bringing in newness & elegance to your existing floor - substrate by sealing, crack bridging, repairing, strengthening and renovating it with a suitable system self leveling systems and roll on coatings are there. We can tailor make and effective, proper and beautiful flooring system required for your kind of business, and such a floor would bring in high degree of operational efficiency, all round aesthetic enlistment, ease of cleaning, cut down in maintenance cost, etc. We can provide any color, finish, texture. 1) The light emitting property is activated by UV light pesent in most light sources. This lighting effect is totally different from chemical, electro, sonic or bio-luminescence. 2) The main difference between this paint and floroscent paint is that the floroscent paints require light at the time of illumination i.e. it does not glow in dark while UGAM FLORO LUMINISCENT paint glows in the dark and gets recharged again in the light. And keep on emitting light throughout it’s life time. 3) This paint only emits harmless light radiation visible spectrum (450 to 550nm) that is optimum to visible response of the human eye. 4) All shades have different glow time varing from two hours to twelve hours once recharged only for five minutes in bright sunlight or up to 30 minutes in normal artificial lights. 5) These pigments have commercial life span of 15 to 20 years. How ever on floor, it depends upon wear and tare. 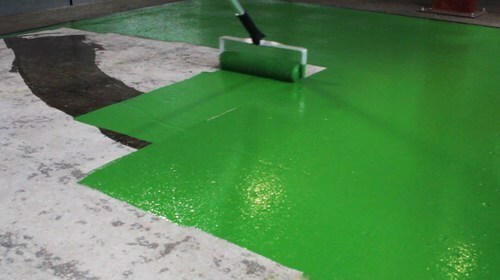 AntiSkid Paint is ideally suitable for production areas, warehouses, workshops, plant rooms, goods in/out areas, in fact any floor that is heavily trafficked by fork lift trucks, pallet trucks, cars and pedestrians. Apply the coating immediately after mixing by roller. One or twocoats can be applied. For best results apply two coats. Do not apply too generously otherwise the slip resistance will be compromised. Apply at a coverage rate of approximately 25 square metres per 4.5 litre pack. The second coat must be appliedwithin 7 days. If this period is exceeded then lightly abrade the surface with carborundum papers to form a key for the second coat. 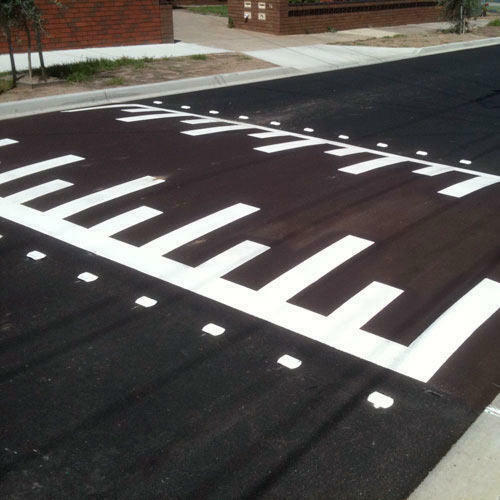 1) The extensive range of Road Marking Paints offered by us is widely used on highways and for industrial markings. 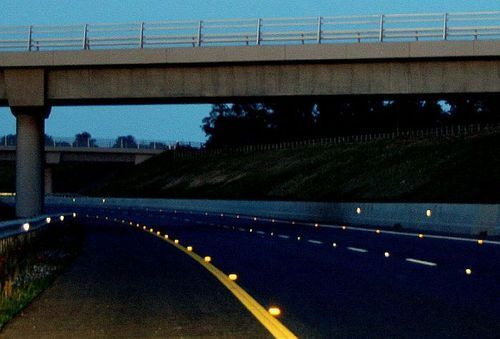 2) The Ugam Road marking Cold application paints are provided with glass beads. 3) These Paints have excellent light reflectance and tough coating as these are based on acrylic latex. Our hot melt type coatings are available in powder form. These are heated in machine and applied on the surface spray and then the glass beads are spread over before cooling. 4) These coatings are also called retro-reflective coatings. Our quality centric firm is a most reliable manufacturer, exporter and supplier of the superior quality Industrial Bay Marking Paints. The offered paints are processed by the utilization of quality tested chemical compounds and latest technology at our advanced processing techniques. This primer is used for the painting of metal surfaces to protect from corrosion. Our offered Industrial Bay Marking Paints are available in different colors and packaging options to cater the needs of the clients. 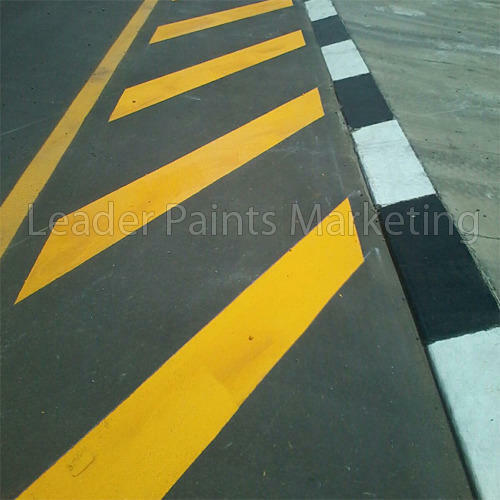 1) UGAM industrial bay marking paint is fast drying, p u acrylic composite road marking paint. 2) It conforms to tt-p-1952d type i (normal conditions) & type ii (adverse conditions), as well as most state specifications. 3) For use on bituminous portland/cement and concrete roads, as well as various seal coat applications. 4) Not recommended for use on concrete sealers containing silicone. 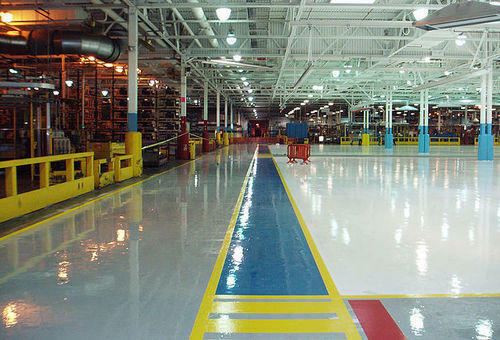 5) This is also recommended for industrial floorings like epoxy or polyurethane floorings. 6) These coatings have excellent surface adhesion and lasts longer than any other type of bay marking product. 1) Thermoplastic road markings are accepted worldwide as advanced markings due to its longer life, high reflectivity & high skid resistance UGAM TPRM is a hot applied, fast drying thermoplastic road marking paint. 2) It gives high durability, excellent adhesion, good day/night visibility and much longer life compared to conventional road marking paints. 3) UGAM TPRM is available in as per govt. specifications i.e. MOST: 803.4/BS: 3262. 4) UGAM TPRM is available in white as well as yellow shade. 5) The constituents of UGAM TPRM are almost 100% solids; cools to road temperature within one minute of application & thus do not require diversion of traffic. 6) Being raised above the road surface combined with retro reflectivity produced by the glass beads makes thermoplastic more notable from a distance even at night. Looking for “Industrial Road and Floor Marking Paints”?